In 1967 Natalia Gutman won the Munich ARD Competition (where in 2005 she was a member of the jury), launching her international career. Since then she has performed on all continents with orchestras such as Vienna and Berlin Philharmonic, London Symphony, Munich and St. Petersburg Philharmonic, Concertgebouw Orchestra in Amsterdam and many more. Festival appearances include the Salzburg Summer Festival and the Berliner and Wiener Festwochen. Wolfgang Sawallisch, Riccardo Muti, Claudio Abbado, Bernhard Haitink, Yevgeny Svetlanov, Yuri Temirkanov, Sergiu Celibidache, Mstislav Rostropovich and Kurt Masur are among the many conductors who favour Natalia Gutman. Another major interest of Natalia Gutman is chamber music. Her regular musical partners have included Martha Argerich and Elisso Virsaladze, Yuri Bashmet, Alexei Lubimov, Sviatoslav Richter and Oleg Kagan. She has premiered many contemporary works; Alfred Schnittke dedicated a sonata and his first Cello Concerto to her. The complete Bach solo suites have been presented by Ms. Gutman all over the world, f. i. Moscow, Berlin, Munich, Paris, Milan, Madrid or Barcelona; Taiwan to follow in 2011. In 2008 another quartet tour with Yuri Bashmet, Viktor Tretjakov and Vassily Lobanov included many European cities. Visits to Taiwan, Canada, the US and many European countries completed the year. 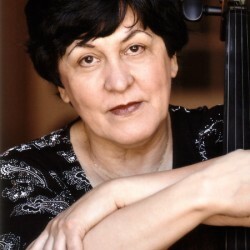 In 2009 Ms. Gutman performed the Prokoviev Sinfonia Concertante, the Shostakovich 1st concert, the Dutilleux cello concerto and many other orchestra pieces in cities like Ankara, Parma, St. Petersburg, Boston, Reykjavík, Stuttgart, Darmstadt and others. Chamber music she performed in the USA, Taiwan and Europe. In August she played a summer festival tour of European Union Youth Orchestra with Vladimir Ashkenazy. Since Mstislaw Rostropowitsch´s death Natalia Gutman most frequently in his memory performs the concerts dedicated to her late teacher: Prokoviev, Shostakovich 1 and Britten. She has recorded the Shostakovich Concertos No. 1 and 2 with the Royal Philharmonic Orchestra and Yuri Temirkanov for RCA/BMG-Ariola. Then followed a recording contract with EMI for the Dvorak Cello Concerto and other works with the Philadelphia Orchestra, conducted by Wolfgang Sawallisch. 1992 saw the release of the Schumann and Schnittke Cello Concerto with the London Philharmonic conducted by Kurt Masur. 2007 she again recorded the Schumann concerto with Claudio Abbado in Italy. 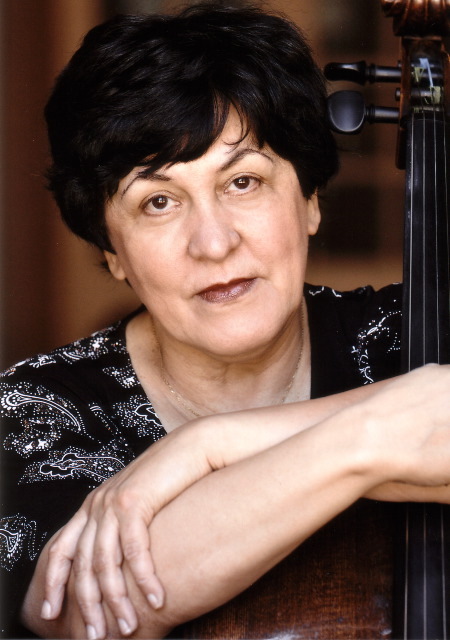 As of late Natalia Gutman frequently records for Life Classics, a small company dedicated principally to the group of musicians associated with Oleg Kagan. Being dedicated to young musicians Natalia Gutman is giving master-classes worldwide – she has been a professor for many years in Musikhochschule Stuttgart and is still teaching in Moscow. Each year at the beginning of July, Natalia Gutman invites internationally renowned artists, to the International Musikfest am Tegernsee in the Bavarian Alps, a chamber music festival that she founded in 1990 with Oleg Kagan and dedicated it to him after his death. In 2010 the festival was held for the 21st time already. In May 2005 German federal president Köhler bestowed on Natalia Gutman the highest German decoration, “Bundesverdienstkreuz Erster Klasse”. She was made a “fellow of the Royal College of Music” in London by HRH the Prince of Wales in May 2010.